Single visa to visit Saudi Arabia, Bahrain, the UAE, Kuwait, Qatar and Oman. It’s time to watch turtles nesting! By Abdulaziz al Jahdhami - MUSCAT — Sablat Oman, the prime network in the Sultanate, launched the world’s largest marble mosaic portrait of His Majesty Sultan Qaboos yesterday at the Wave Muscat. 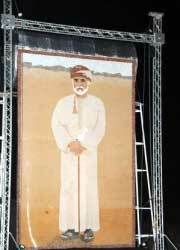 Most of the 128,274 stones used for the 8X5 metre portrait originate from different mountains and sea beds of Oman. Sablat Oman came up with the concept of presenting His Majesty Sultan Qaboos on his 40th accession day with totally hand-made marble mosaic portrait. This portrait made an entry in the Guinness Book of World Records as the largest single portrait in the world. The stones mosaic portrait was designed by two designing companies; Ka Design of UK and Bramko Bahrain. The photograph of His Majesty to be depicted in the mosaic stones was carefully chosen by the team from different photos taken by His Majesty’s personal photographer Mohammed Mustafa. Move over milk, silk, leather — the Indian vegan’s here! Yemen Arab Republic, Kingdom of Saudi Arabia and the United Arab Emirates. The official language is Arabic. Islam is the official religion, but other religions are tolerated. The Council of Oman consists of the Consultation Council and the State Council. The Consultation members are elected by the Omani citizens, and the State Council members are appointed by HM The Sultan. Oman lies at the eastern corner of the Arabian peninsula. 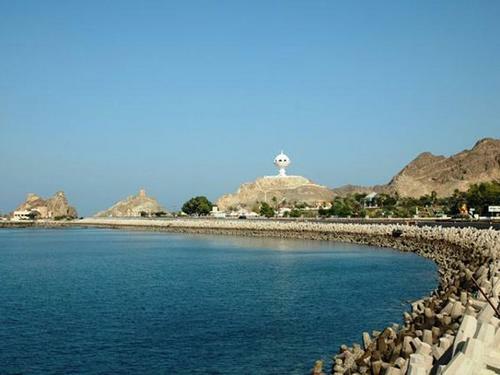 Sharjah and Fujairah (UAE) separate the main part of Oman from the northernmost part of the state, a peninsula (Musandam) extending into the Strait of Hormuz. It is for many Westerners a country waiting to be discovered. Prior to the coming on stream of oil in 1964, the country was dependent on the agricultural sector and on fishing activities. Since 1970 His Majesty Sultan Qaboos has strived to modernize his country and oil revenues have given him the opportunity to develop a modern infrastructure of roads, ports and airports, as well as first-class telecommunications and broadcasting systems. Some 50 hospitals have been opened throughout the country and educational programmes for all ages successfully implemented.